drug interactions viagra and warfarin Like Flores, Lombok forms part of the chain of the Lesser Sunda Islands which falls in the Nusa Tenggara province, with the Lombok Strait separating it from Bali to the West and the Alas Strait between it and Sumbawa to the east. 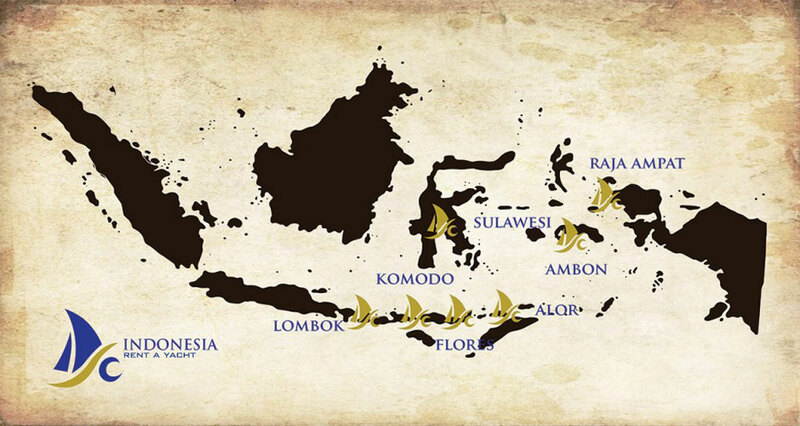 Lombok is approximately 80km East to West and North to South. Matram in the west is Lombok’s capital and a good point from which to do day trips to the surrounding areas. Nearby Senggigi is superbly positioned along a stretch of sweeping bays. In east Lombok, the very scenic Sumbawa offers low key tourism and some good surf breaks. Just offshore, Lombok is surrounded by a number of smaller islands known locally as the Gilis. indian viagra online pharmacy Mount Rinjani is a semi active volcano and Indonesia’s second highest volcano reaching 12,224 ft (3,276m). Understandably, Mount Rinjani dominates the island from its central location and is held in awe by the islanders who regularly ascend the steep trail to the crater rim. overnight canadian viagra The highlands of Lombok are forest clad and mostly undeveloped. The lowlands are highly cultivated: rice, soyabeans, coffee, tobacco, cotton, cinnamon, cacao, cloves, cassava, corn, coconuts, copra, bananas and vanilla are the major crops grown in the island’s fertile soils. The southern part of the island is fertile but drier, especially toward the southern coastline. viagra coupon participating pharmacies The island’s inhabitants are made up mainly by the indigenous Sasak population. The Sasaks are culturally and linguistically closely related to the Balinese, but unlike the Hindu Balinese, the majority are Muslim and the landscape is punctuated with mosques and minarets. Islamic traditions and holidays influence the Island’s daily activities. http://sgt.ro/?x=female-viagra-drug-name Lombok is often marketed as “Bali’s sister island” and is currently being developed as Indonesia’s 2nd destination for tourism. Lombok’s attraction is its more natural, uncrowded and undeveloped environment which captivates her visitors. Lombok has abundant opportunities for visitors to explore the island’s unspoiled, spectacular natural beauty. gravel drug ingredients viagra Tourism is an important source of income to the popular island of Lombok and the fabled Gilis. The most developed area of the island is on the west coast and centred around Senggigi with a 30km west coast strip and extends inland to the foot of Mount Rinjani. The highly popular Gilis lie immediately offshore and are commonly accessed by boat. There are many hotels and resorts in Lombok and the Gilis cater to all budgets right up to the luxurious high class resort destinations. Popular sites for visitors are Mount Rinjani, Narmada Park, Mayura Park and Kuta (distinctly different from Kuta, Bali!) Sekotong, in southwest Lombok, is popular for its numerous and diverse scuba diving locations. pharmacie monge cialis vs viagra Visitors can also enjoy cultural or cycling tours of Lombok which can include watching the traditional weavers and popular textile makers in Sukarara (famous for their sarongs which are not only comfortable to wear but also serve as sheets, bed coves and many other purposes), the Pura Kalasa temple in Narmada, Mataram and the beautiful beach of Tanjun Aan. Lombok pottery is becoming well known in the world. Three major villages are famous with their pottery production: Banjy Mulek, Penujak and Masbaik. Each village has their own style and technique and design. Basket weaving and the Lombok wooden handcrafted masks are also prominent exports from Lombok. xanax drugs similar to viagra The Kuta area is famous for its beautiful, largely deserted, white sandy beaches. Lombok is a magnet to surfers who come to find the perfect wave and because they love its slow and rustic feel. South Lombok surfing is considered some of the best in the world. Large polar lows push up through the Indian Ocean directly long range, high period swell from late March to September or later. Lombok is famous for its diversity of surf breaks, which includes world renowned Desert Point at Banko Banko in the southwest of the island. http://allaboutcambo.com/?x=online-pharmacy-india-viagra-pharmacy The northwest coast near Tanjung has many new upmarket hotel and villa developments centred about the Sire and Medana peninsular nearby to the Gili Islands and a new boating marina at Medana Bay. These new developments complement the already existing 5* resorts and a large golf course already established there. If the idea of a 3 hour trek up Mount Rinjani to watch the sunrise and spot the wild pigs and the long-tailed grey macaque seems a little too much effort, you have the choice of relaxing in the natural hot springs around Segara Anak Lake or swimming and snorkelling at one of the beautiful and tranquil Gili Islands or taking a cultural tour of the island. You can equally take a less strenuous trek from Senaru passing thick tropical forests rich in flora, bird life and a variety of butterflies. You might see orchids and, if lucky, the rare black ebony leaf monkey, known locally as lutung. Lombok offers many watersports both above and below the water. Besides parasailing, jet skiing, waterskiing, Lombok is a magnet to surfers who come to find the perfect wave and because they love its slow and rustic feel. South Lombok surfing is considered some of the best in the world. Large polar lows push up through the Indian Ocean directly long range, high period swell from late March to September or later. Lombok is famous for its diversity of surf breaks, which includes world renowned Desert Point at Banko Banko in the southwest of the island. With over 3,500 species living in the Indonesian underwater world, Lombok has one of the richest diversities of marine life in the Indo-Pacific region. In comparison, the Great Barrier Reef has just 1,500 species and the Red Sea has only 600 species. Lombok’s drop-offs, plateaux and slopes reflect a good cross section of what Indonesia has to offer the diving community. Dive in and be fascinated by turtles, white tip reef sharks, cuttlefish, moray eels, angelfishes, ghost pipefish and more.